For many seniors, living independently is a life affirming challenge. It keeps them invigorated and stimulated. They love their home, value their privacy, and cherish their independence. If nothing else, living alone offers a sense of security, comfort and familiarity. But living alone has its challenges. 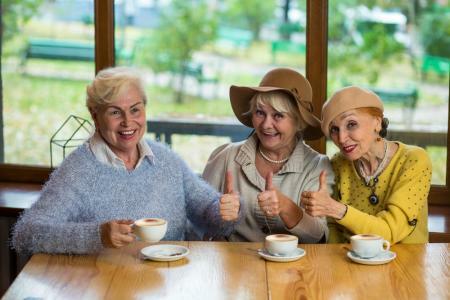 That's why we put together a list of the top selling "must have" products for elderly living alone in 2019. We talked to the leading specialists in aging, eldercare and geriatrics to decide on the products and then found the brands offering the best bang for your buck. All of these products have helped thousands live an easier, happier, safer and more independent life in the comfort of their own home. Falling sends more seniors to the hospital than anything and there's no bigger culprit than the bathroom. Falling when alone, with no one to help, magnifies the danger. 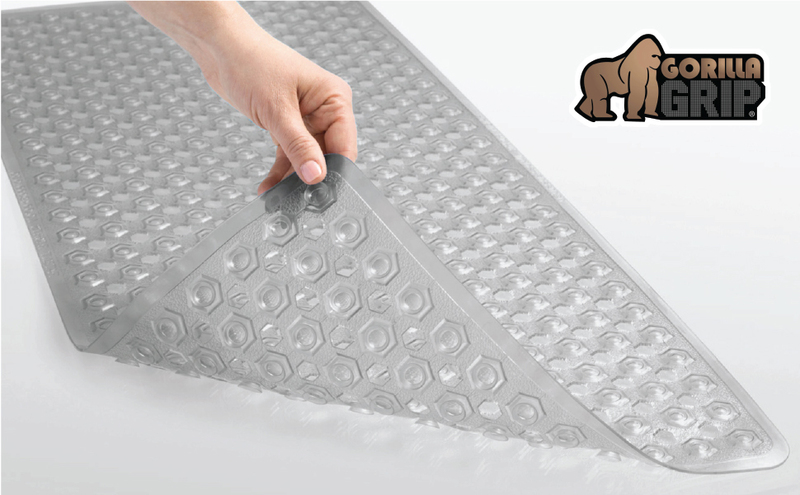 The Original Gorilla bath mat is great because it sticks better to non-tiled surfaces than any other mat, has a great non-slip surface, avoids mold and is machine washable! Small price for a big impact! It's not easy pushing around a heavy vacuum cleaner, let alone for the elderly. Smart vacuum cleaners like the iRobot Roomba are fantastic for cleaning pet hairs, carpets and wood floors! 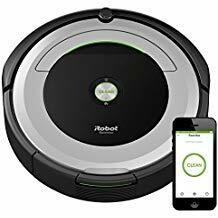 Whether you press the robot, your phone or make you command by voice through Alexa or Google Home, the Roomba will relieve older adults from the difficult task of vacuuming their homes. Forgetting a kettle on the stove top is an all too common cause of kitchen fires. A cordless electric kettle removes the risk altogether while increasing convenience and simplicity. 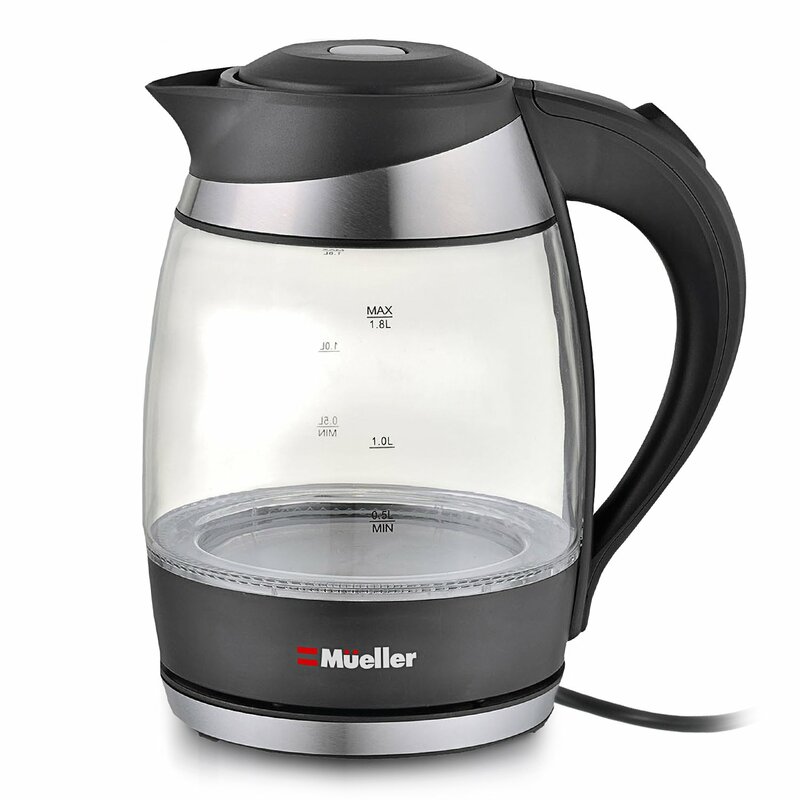 We love the Mueller Ultra cordless electric kettle because it comes with a great non-slip handle, superior quality glass and is BPA free. It also comes with great reviews and is a top seller! Whether it's a matter of strength, coordination or arthritis, opening a can of tuna, soup or cat food can be become very difficult as we age. Getting an automated can opener can dramatically simplify the process and help avoid needless cuts and injuries. 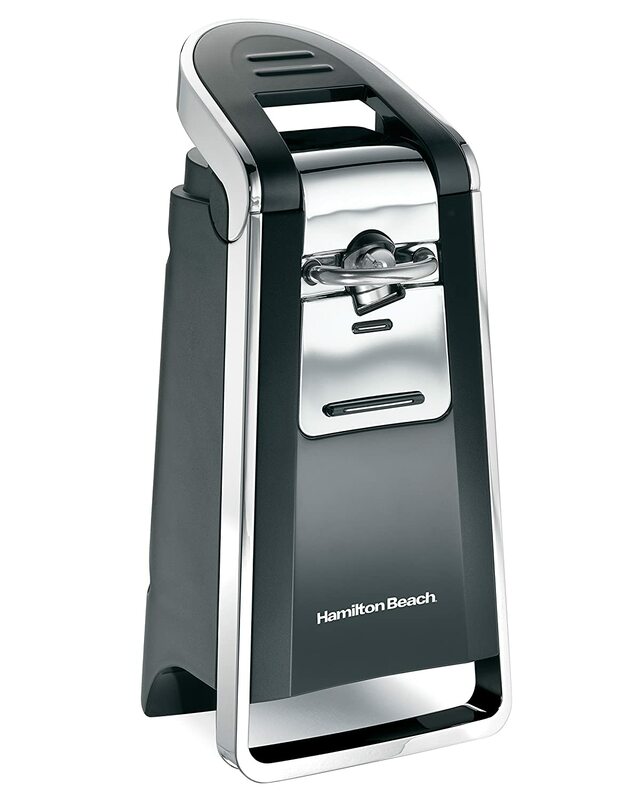 The Hamilton Beach Smooth Touch Can Opener has a 4.5 star rating on Amazon with over 8,400 reviews! Best price to quality ratio on the market! Save your back and avoid stepping stools! Get things from the top shelf, the floor or behind furniture. Change a light bulb! 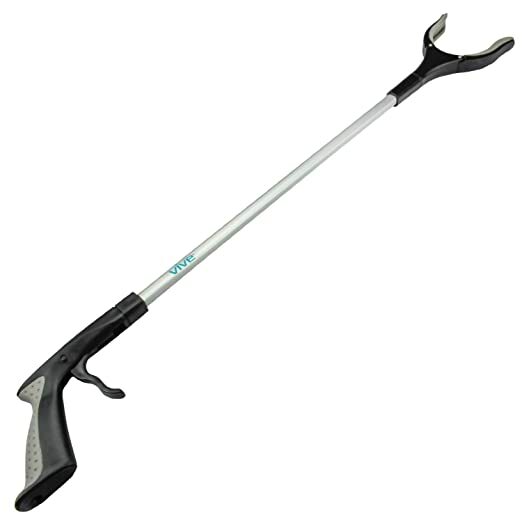 We like the Extra Long 32 inch Reacher Grabber by Vive because it has added length and comes with super durable steel wiring and a lifetime warranty! It's the top selling reacher on the market! Make it easy for seniors to stay in touch. Being able to easily see and press telephone buttons is a huge bonus for the elderly. That's why we love the highly rated ClearSounds landline telephone. 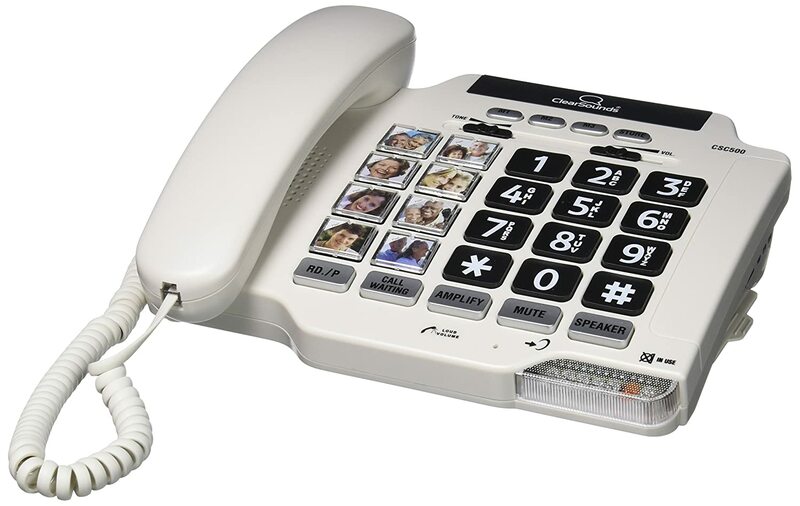 It has big over sized buttons, volume control, an easy to read key pad, hearing aid compatibility and one touch speed dial buttons with pictures for easy dialing! Having a cell phone allows seniors to stay in touch, order a cab, or call for help no matter where they are. Apps like Google Duo enable video calling (like facetime) - so folks can hear and see the smiles of children, grandchildren and friends alike. 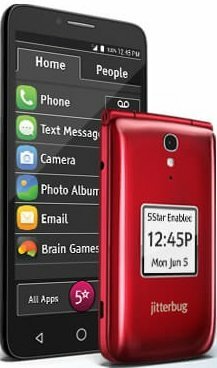 We love the Jitterbug options from GreatCall because whether you're looking for the simplicity of a flip phone or the features of a smart phone, both offer oversized buttons to allow for easy use and handling, voice typing, a long lasting battery and a bunch of really valuable senior safety apps. Limited time offer: 25% off for the month of February in celebration of heart health month. If seniors are going to live alone, they're going to have to be able to accomplish day to day tasks without the help of others. Opening a jar can be hard enough for the young and spry - for seniors with reduced strength or arthritis it can be nearly impossible. 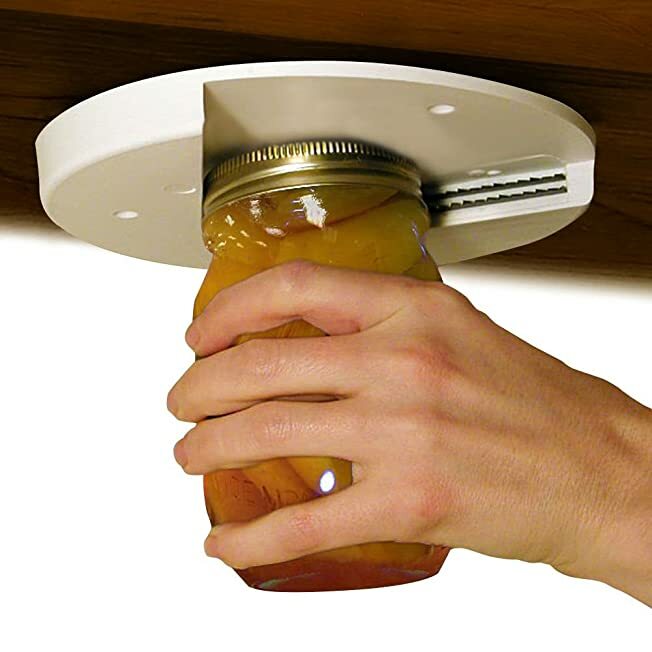 We like the EZ Off Jar Opener because it's simple to use, solid and doesn't require two hands. It's the highest rated jar opener with the best reviews we've come across. Showering shouldn't be a balancing act. Sit, shower and relax. A shower chair will allow those with limited mobility or fall risks to shower independently much longer. 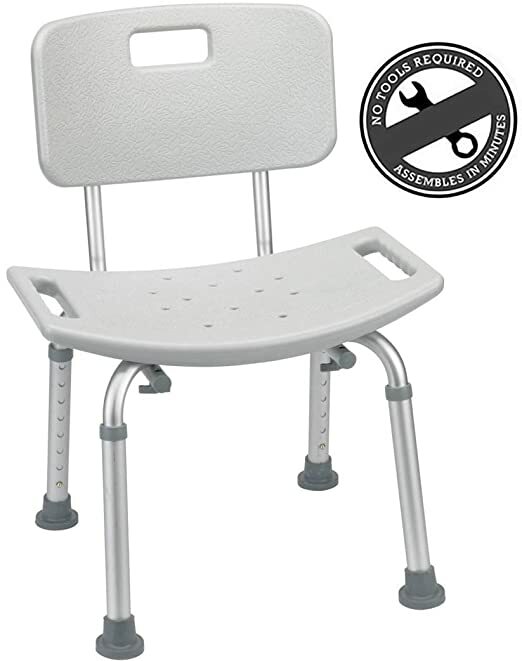 We like the #1 selling medical shower chair because it doesn't require any tools for assembly, has a removable back for extra support, and comes with lightweight, rust-proof aluminum for increased durability. It's wide legs offers increased stability to avoid tipping. Knowing what to do and when is a big part of living independently. This clock has it all. It has supersized fonts for easy reading. It clearly displays the day of the week, morning and night, time of day and day of the month and year. Not only that, it also comes with 3 alarms per day, which is great for wake-ups, meal and medication reminders. It also comes in white or yellow font color, depending on preference. 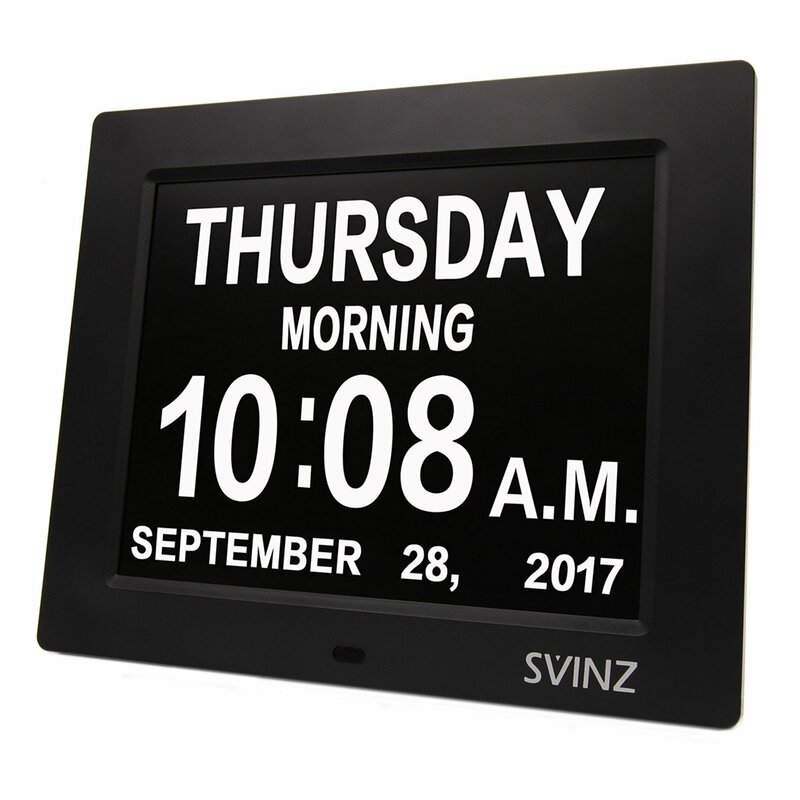 We love the best selling SVINZ 3 Alarm clock because of its size, information and alarm clock features. 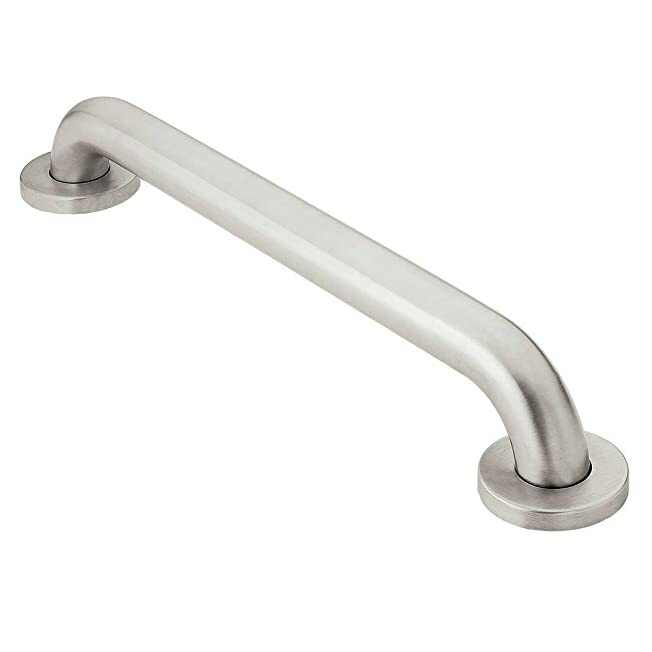 As far as products for elderly living alone, perhaps none is more useful than grab bars. Getting up from the toilet alone, or in and out of the shower safely is a key to staying safely on your feet. We've displayed two types of grab bars here, one is a suction based grab bar and the other requires installment. Both are the best in their class. If you can we'd prefer the durability of the installed option, but not all situations allow for it. 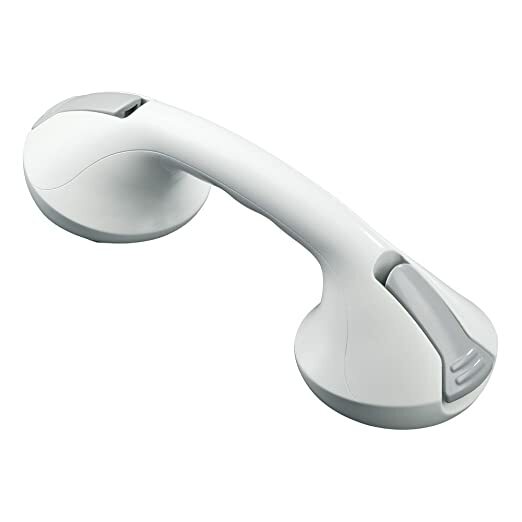 The one benefit of the suction grab bar is it can travel with you! Regardless, you'll be much better off with either solution. Knowing that help is only one click of a button away, whether inside your home, jogging, driving or just out and about is essential if you're living alone. New mobile medical alert systems will get immediate emergency response and notify your listed family members. You can also explore motion sensors, fall detection and GPS tracking for added security. 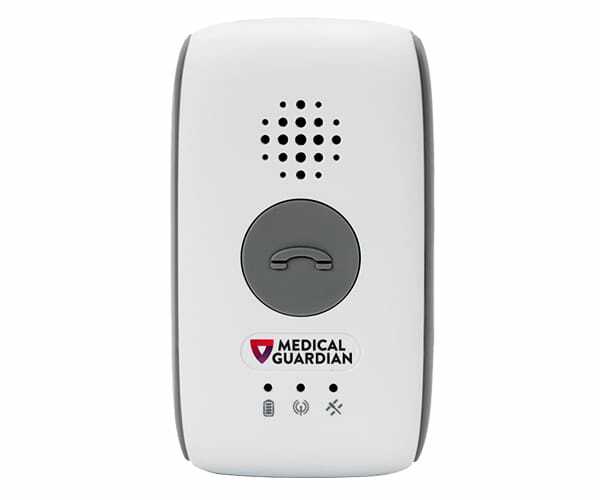 We love Medical Guardian because it's one of the highest rated emergency response systems available. It has extremely reliable equipment and staff with the highest training level certifications. i want to start volunteering with also the help of other friends at different homes of elderly people living alone to make life easy for them e.g run errands, cook for them, clean, keep them company and other few things please what are the supplies needed for this? That's a beautiful idea! The supplies you'll need will be heavily dependent on the services you'll be providing and the care required by those you'll be looking after. Assuming it's exclusively for errands, cooking, cleaning and keeping them company as you mentioned above, all you'll really need are slip on foot covers (keep interior clean as well as your feet), sanitation gloves, purel and disinfectant wipes. If you're cleaning and cooking you should be using the supplies provided to you by the homeowner. Otherwise, you can get some on their behalf. If you're making any purchases on someone else's behalf, make sure to keep ALL receipts, so no one can accuse you of misappropriating funds. Even better, ask for a gift card, so the amount is fixed and all transactions can be recorded and tracked. Most important, share your beautiful energy and your smile! Your presence alone will make all the difference. Your community is lucky to have you! Thanks for mentioning the best products for elders. Keep sharing the good content.